I’m addicted… I know it. 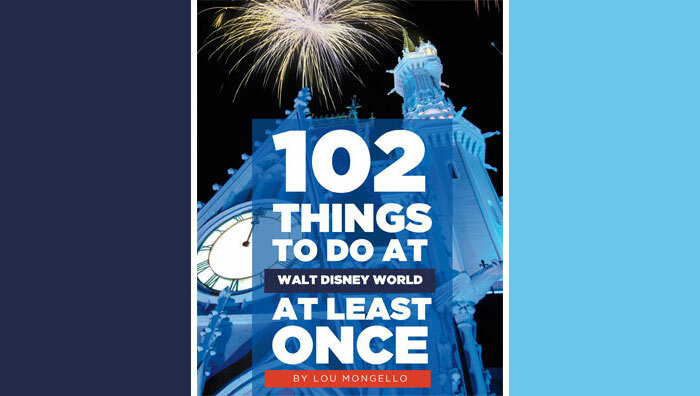 I position myself as a bit of an expert… your “go to” girl for Walt Disney World planning, news-sharing, daydreaming, and wanna-be Imagineering. If you have a question about Disney… well, I can answer it. I proudly sport the “Been There, Done That, Going Back” license plate frame and generally go to Disney with a “well, if the line is too long, no big deal–I’ll try next time” attitude. I think I’m talking to a sympathetic audience–if you’re reading this, you must be a bit of an addict, too. This is a transgression about which my students will likely remind me for many weeks to come…… and I am dismayed. 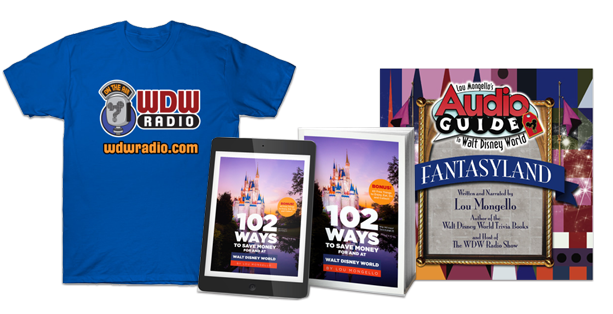 They say recovery begins in admitting the problem, so I come to you, my WDW Radio family, to explain my plight and perhaps, beg forgiveness from those who are also offended by my mis-deed. The Setting: my overcrowded classroom. Mickey Mouse dolls and drawings–many drawn by my students– adorn my desk and shelves. Disney pins line the bulletin board. Motivational Walt Disney quotes clutter the wall. I even have some Pooh Bear dolls (a subject for another Confessions column) hiding in the corner of the room. I am, in the spirit of dress-down Friday, wearing my awesome, Ronald-McDonald-red, runDisney Minnie Mouse sneakers. The Topic: We are discussing the decline of the Roman Empire. Fun stuff, I think. And as I trip through the obstacle course of backpacks and desks to advance my PowerPoint slide on the computer, I hear it…. Now, any “with it” teacher will know that these students are likely NOT “on topic.” But I’m a savvy teacher–after 19 years experience, I know how to “re-direct” my charges. Oh foolish teacher….. Nineteen years of teaching have taught you NOTHING!!!!! The silence is deafening…. 32 sets of eyes bore holes into me. Most, I know, have NO IDEA what a turkey leg is, but see this as a great opportunity to stop discussing Roman Emperors so will happily play along with the indignation rising in the air. But you said you are the biggest Disney fan ever! Well, yes, I am a huge Disney fan but no, never had a turkey leg… Let’s get back to Nemo <<dangit>> NERO!!!! Mrs. Viszoki, everyone who goes to Disney has a turkey leg!! We’ve had turkey legs! Who else in here has had a turkey leg??? Arms fly in the air. I must shut it down. Ladies and gentlemen…. Enough. There will be no more talk of Disney or turkey legs! We must get back to <<focus, FOCUS! as you say it>> NERO. We finish the slides quietly,and then… But Mrs. Viszoki, WHHHHyyyyyy haven’t you ever had a turkey leg? It’s a good question…. I have my valid excuses for avoiding Mission: SPACE, disliking Winnie the Pooh, and failing to own a Vinylmation all lined up, but the absence of the famed turkey leg from my Disney culinary experiences is…. basically inexplicable. I could say I could never eat that much… or that I think it looks a little funky… but the simple fact of the matter is I have simply never felt the “I must have a turkey leg or I will faint” instinct. And so it was done… I have now promised a group of students to eat my first-ever Frontierland turkey leg… AND to report back. I am hopeful that I will redeem my Disney credibility in their eyes. And, in confessing this to my family, I hope to receive absolution. Now, with my confession complete, I must bid adieu and write that test on Nemo… grrr… I mean, Nero. Mickey Bars, Mickey Rice Crispy treats on a stick. I think my favorite Disney Geek must to-do is ride Splash Mountain during the fireworks. The view is amazing! You haven’t tried a turkey leg yet? (share it) well you better get a move on because the pork shank at Gaston’s tavern will be considered next up, and you are already lagging behind! I believe the middle schooler in my house would concur. You are not a lone there are many of us Non Turkey Disney Eaters out there who Love & Adore Disney but do not Love and Adore the greasy strange and obnoxious size looking TURKEY LEG… LOL…. I will add that I have eaten a Mickey Shaped Pretzel and enjoyed every second of that! Take Care & have a most Magical Day. I completely agree with Jennifer Cerillo about riding Splash Mountain during the fireworks or the SpectroMagic/Main Street Electrical Parade. I think you are deserving of a Disney Geek badge if you have taken that challenge one step further by entering the park during the start of the parade and circumventing it via the Walt Disney World Railroad or the right side of Main Street in order to reach Splash Mountain as the parade travels through Frontierland. This was always a favorite challenge of my family. I wouldn’t eat a turkey leg if it was the only thing Disney sold to eat. They don’t even looked cooked to me. I live 5 miles from Disney and I’m at one of the parks about every other day. So I’ve done the skip the parade and I’ve even left the park in the Middle of wishes just to beat the crowd. Don’t feel bad about never trying a turkey leg. I tried one, once. I just didn’t love it. It was huge and greasy and rubber-y and I just didn’t see the appeal. Maybe I got one that had been sitting for awhile. I also don’t care for Dole Whips. I know, turn in my Disney Geek Card, but I’m just not a fan. I don’t like Orange Julius, either, and that’s that’s what they remind me of. Give me a Mickey Bar, any day. But my Most Shocking confession? I’ve never ridden Dumbo! At least not that I remember. Maybe I did as a 5 or 6 year old; we did everything else in MK on those trips, but I don’t remember that particular ride. Returning to WDW as an adult, I didn’t really want to ride, and also, because I’m “plump” shall we say, I was a bit embarrassed to ride. Now that I’ve seen the upgrades with the colors and fountains, it’s definitely on my “must try” list next trip. That and riding on Big Thunder Mountain. But that’s a whole other story! #bigDisneyGeekAfraidOfThrillRides. You are a cool teacher! Also this was a funny post and don’t forget your winnie the pooh and tigger sketch! Things like ride all mountains, see all the night shows, and spend 2 hours in “One Man’s Dream” are a toe in the pond. To spend at least one full day in MK, riding nothing. Just read windows, sing along to BGM, and take angled shots of everything you see would be the best day for a true “Disney Nerd”. Liz, I love just walking around, taking pictures of different angles and views too. Glad to hear I’m not alone. As for the “leg” I have beed there more than I can count and every time I say I gotta get one next time. So I never had one yet. But my “must do” every year is to take a pic with my son on the ant in Honey I Shrunk tje Kid playground. Have one every year, great to see him grow marking him against the ant! I have also never tried a turkey leg, they do not look appetising! I think riding the monorail even when you have no need to is a ‘Disney geek’ must do, even just to hear the favourite saying! I honestly didn’t try a turkey leg until just a few years ago, and I do enjoy them…until you start to get full and then they just seem kind of disgusting. But I am lactose intolerant, meaning no Mickey Ice Cream or Dole Whips for me…so it’s all I’ve got pretty much! I’ll enjoy it anyway! But my must do list always includes a ride on Spaceship Earth…or more like two. It’s the first and last thing I head on each and every trip (and I’ve only broken that rule once or twice in my 23 trips). Of course, I ride it everytime I’m in Epcot, but that’s beside the point. But you have got me thinking. I’ll have to ponder it for a while! American Adventure… never done it! Shhhh, don’t tell anyone!! As a teacher myself I totally understand these situations! Although I teach 4 year olds Disney still comes up a lot in the classroom. From a little Tangled fan who accuses me of “killing her smolder” and a couple of others that have a pixie chant. They really have a way of derailing our plans, don’t they?